A Rural Pennsylvania Town Struggles Against Heroin : Shots - Health News In Kutztown, Pa., school nurses stock naloxone to treat heroin overdoses. "Kids aren't afraid of it," a guidance counselor says. "It's available and it's cheap." 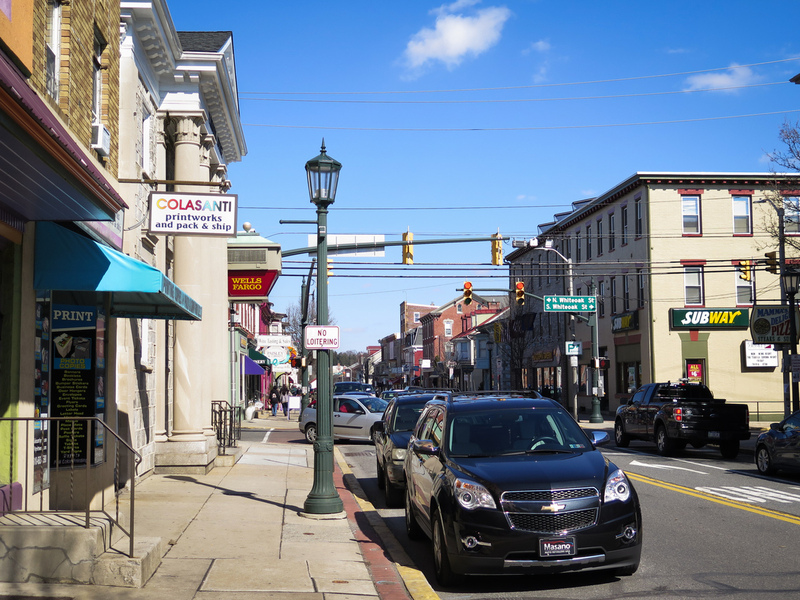 Like many small towns, Kutztown, Pa., is trying to figure out how to steer residents away from heroin. There were more than 47,000 drug overdose deaths in the U.S. in 2014, according to the Centers for Disease Control and Prevention. That includes unintentional overdoses and suicides. More than half of those were from opioids, including painkillers and heroin. I went to rural Berks County in southeast Pennsylvania to hear what the opioid epidemic means in a small town, a place where everyone knows everyone and the ripples of addiction spread wide. Really, I could have gone just about anywhere. No community is immune. The landscape in Berks County is bucolic: rolling farmland studded with silos and 19th-century stone barns. But that peaceful landscape belies a serious problem. Opioid addiction is deeply embedded in these small towns. "It's become a crisis," says Phil Salamone, a paramedic in Kutztown, Pa. He points out that heroin is both cheap and readily available from nearby cities such as Reading and Philadelphia. Salamone says, "There is no exclusive demographic that's using it. It's everybody. It's kids, adults, low income, high income. It's everywhere." Paramedic Phil Salamone carries naloxone, a drug used to reverse an opioid overdose. Local paramedics have been able to save lives by using the drug naloxone, also known as Narcan. It reverses an overdose by latching onto receptors in the brain and kicking the opiates off. "We don't ever have to worry about that medication expiring because it's always used, Salamone says, somewhat ruefully. The Kutztown ambulance squad has "Narcanned" ten overdose victims so far this year. Salamone says the drug makes paramedics like him look really good. "You have a patient that is unresponsive. We start an IV on them, administer naloxone and they wake up! Just like nothing had happened." Early one morning last May, a neighboring ambulance squad got an emergency call from Brandywine Heights High School. A girl had been nodding off at her desk. She soon collapsed, semiconscious and turning gray. She had overdosed on heroin. School guidance counselor David Favata, a certified EMS worker, raced in and got the girl breathing with a bag mask. An ambulance whisked her to the hospital and she did survive, but it was a close call. It turned out she had done heroin in the school bathroom before class that morning. School principal Josh Ziatyk recalls her as a great kid, a former cheerleader, with "tons of energy and the world ahead of her." But, he says, "Through the late middle school years into early high school years, there was a change that occurred within her. And little by little, [she] just found herself into a black hole, into a rut, and couldn't get out of it." The opioid epidemic has galvanized Brandywine Heights and neighboring Kutztown Area High School into action. Between them, they lost six former students to heroin overdose within two years. Students walk the halls in Kutztown Area High School. 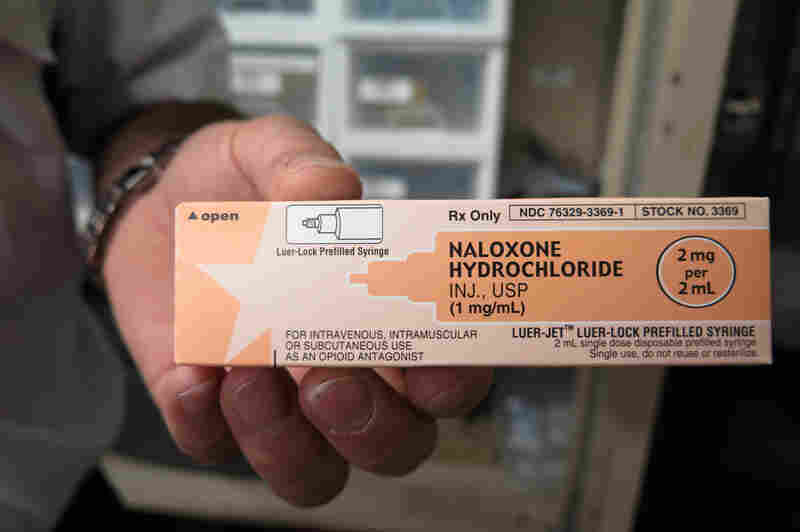 Nurses at the middle and high schools now stock naloxone in the event of an overdose. Both communities have organized groups to spread awareness about opioid abuse and try to prevent it. They sponsor activities to keep young people engaged. Boredom is a problem in a small town, and drugs can easily fill that void. 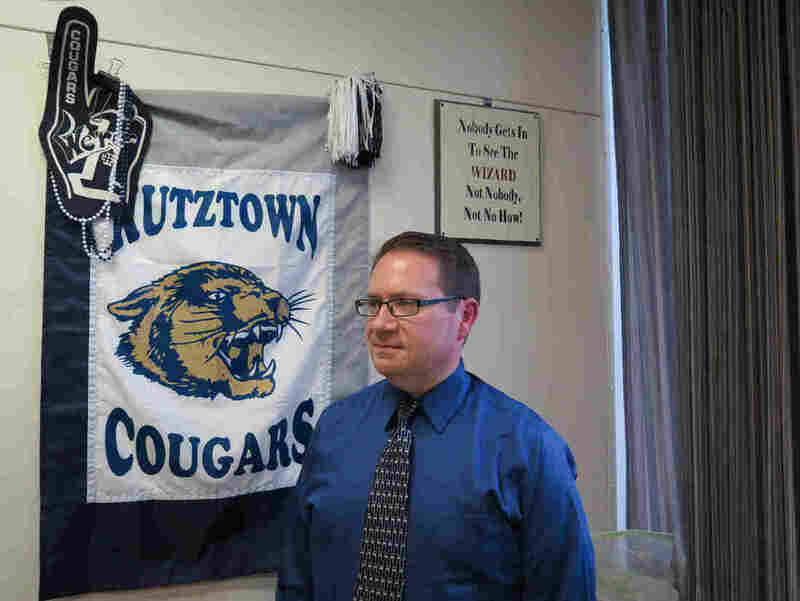 At Kutztown High, students meet each week as part of a group called Kutztown Strong, which was formed in response to the drug crisis. When I visit, they're busy planning a three-on-three basketball tournament. After the meeting, freshman Ramsi Ross tells me how angry she gets when she reads social media posts about the overdose deaths of young people. "Everyone's saying like 'rest in peace, you'll be missed,' and I just couldn't help but think, these were your friends! Couldn't you have done something? Maybe you should have got involved in Kutztown Strong and stopped your friends from using." 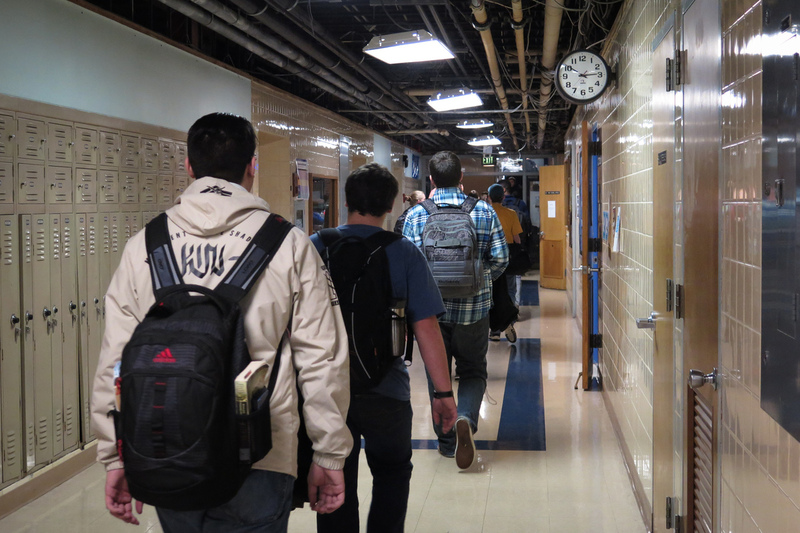 Of 450 students at Kutztown High, there are about five who are back in school after rehab. And there are quite a few others the staff is concerned about. Teachers and counselors meet each week with a specialist who has a contract to work in the school. This student assistance team is part of a state-mandated program in Pennsylvania. They're on the lookout for kids in trouble. It could be eating disorders, anxiety, self-harm, or drug and alcohol abuse. They look for possible warning signs: kids whose grades have tanked or who've changed friend groups. On the state level, it's hard to get solid data on whether these interventions are effective. But the staff members at Kutztown High say they're providing a crucial support network for kids at risk. Guidance counselor Andrew Brett works at Kutztown High. He says he has seen students migrate from pot to prescription painkillers to, sometimes, heroin. Guidance counselor Andrew Brett has seen a recent pattern: kids who start with pot may pivot to prescription painkillers and sometimes — across the spectrum, from the highest achievers on down — to heroin. "Kids aren't afraid of it," he tells me. "Years ago, it was,'Well, heroin is for junkies.' And you had to be pretty low, and that was the perception. Well, that's not the perception. It's available and it's cheap. And it's readily available in our community." When the student assistance team wants to intervene, they approach the student's parents first. School superintendent Kathy Metrick says that conversation doesn't always go so well: "I sat across the table from a parent whose child had been found in possession of all sorts of paraphernalia, and she said he was picking up trash off the street, that he would never do that." Metrick goes on, "The denial is just so powerful. And you want to say, 'Please save your child!' Because, if we're wrong, yay! That would be the best news ever. But gosh, if we're right and we have a chance to step in now before it's too late, let's do that." But Metrick knows even if they do step in, that's no guarantee. Students will likely come back from rehab to the same circle of friends, the same triggers and temptations as before.